NICOSIA, CYPRUS. 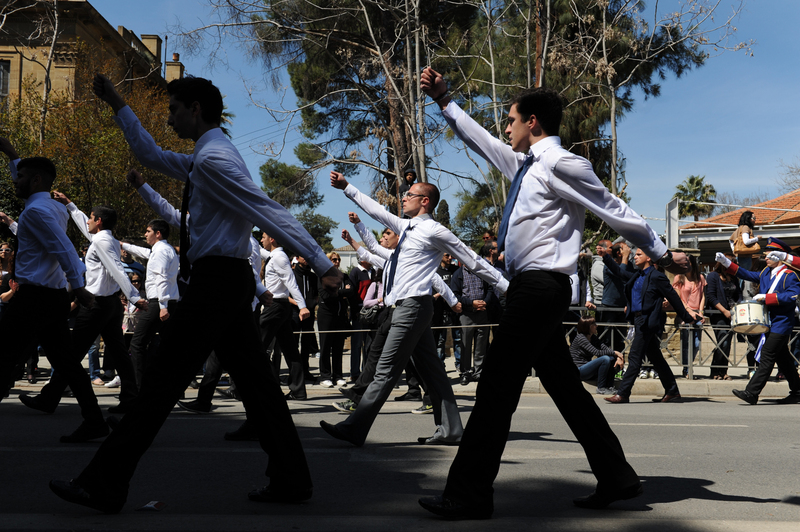 Men are seen marching in the Cypriot National Day military parade on March 25, 2013. Late last night, the IMF, the EU and the Cypriot government reached a deal to rescue the Cypriot banking sector and economy by imposing capital controls, but many are fearful of what the week may have in store as Cypriots look to withdraw their savings from the bank and much of Greek Cyprus has converted to a cash only economy.